Are you that person in your circles, the early adapter of all things new when it comes to the well-stocked, on-trend kitchen? If not, I’m sure you know that person—the one who has every gadget and kitchen tool imaginable. You likely also have a friend who can barely boil an egg—or maybe that person is you! Regardless, the barrage of kitchen tools, gadgets, utensils and essentials zooming through our news and social media feeds seems endless. It’s fun to go down the rabbit hole every now and then to browse those wish lists, but if you’re short on time, we’ve distilled our own HOME Essentials list of the best of the best in kitchen must-haves, whether trendy, budget-friendly, or splurge-worthy. A quick survey of moms with varying levels of time, expertise and interest for cooking resulted in a range of kitchen essentials. For some, day-to-day items came to mind; others mentioned types of cookware or utensils. In general, busy mothers turn to specific items which vary, depending on the structure of their days and ages of their children. 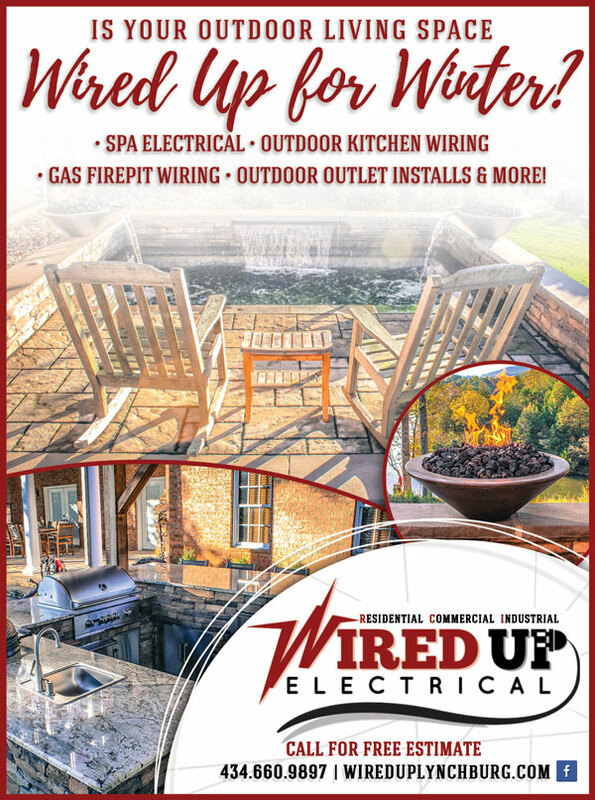 Overall, these were the must-haves for moms: Non-stick baking pans Cast iron skillets Non-stick frying pan Microwave cover Can opener Kitchen scissors Kitchen tongs Vegetable peeler Measuring cups Rubber-tipped spatulas Pizza cutter Decorative cutting board. Good, sharp kitchen knives were, hands-down, the most mentioned by the mothers surveyed, regardless of children’s ages or their own cooking expertise. Instant Pot: Don’t let ‘This Is Us’ season finale from last fall scare you away! Instant Pot is one appliance with eight different functions. This electric pressure cooker functions as everything from a slow cooker to a rice cooker; it can even make yogurt! The hotshot appliance has seventeen smart programs for cooking meats and stews, steaming vegetables and even baking. Providing options for longer and shorter cook times, Instant Pot is the one-man band of kitchen essentials. 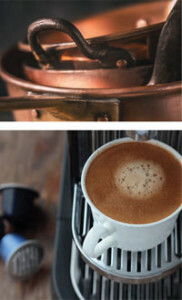 Espresso machine: If you’ve had it with spending six dollars on coffee bar cappuccinos, an espresso machine is a must. The initial purchase might be daunting, but at the cost of a daily latte, it will pay for itself in a matter of weeks. Opt for a model with an automatic milk frother and in no time you’ll master your own best barista practices! Clip-on colander: The design of the clip-on colander is genius. Making it much easier to maneuver solo straining and draining with only two hands, its unique clips fit most round pots, pans and bowls. The heavy-duty colander’s compact profile makes for easy storage and does the trick on straining jobs big and small. Meal prep bento boxes: Just say no to mismatched containers! Send them off to recycling and prep away with these adorable bento boxes. The containers are microwave-safe, durable and a slam dunk tool for portion control. Say goodbye to soggy sandwiches: with multiple compartments for separating foods, packing lunch is a delight! Salad spinner: If you’re no fan of soggy spinach, a good salad spinner is a kitchen winner at under $20. More than just the sum of its parts, the spinner’s basket doubles as a colander; the bowl functions for serving and storage. It goes without saying that leftovers last longer if they’re not waterlogged and wilted. Spiralizer: Given the variety of functions this gadget makes easy, Spiralizer goes to the head of the “budget-friendly” class. The new design has seven interchangeable blades and is no slouch for foodies with better health in mind. 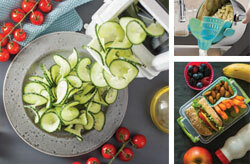 The spiralizer adds great style to salads and generates a variety of veggie noodles, not to mention fabulous homemade potato chips. Stainless steel mixing bowls: Kitchen connoisseurs agree overall that stainless steel mixing bowls are the way to go. With a nesting set of six bowls at the ready, daily kitchen tasks are a breeze. Stainless steel prevents staining and odors and the variety of sizes makes meal prep fun. Affordable, easy to clean and efficient to store, the nesting set is a kitchen must-have. KitchenAid mixer: This classic stand mixer has changed little in design since its introduction in the 1930s, but KitchenAid’s countertop workhorse, made famous by television chefs including Julia Child and Martha Stewart, is available in more than 50, fun colors! 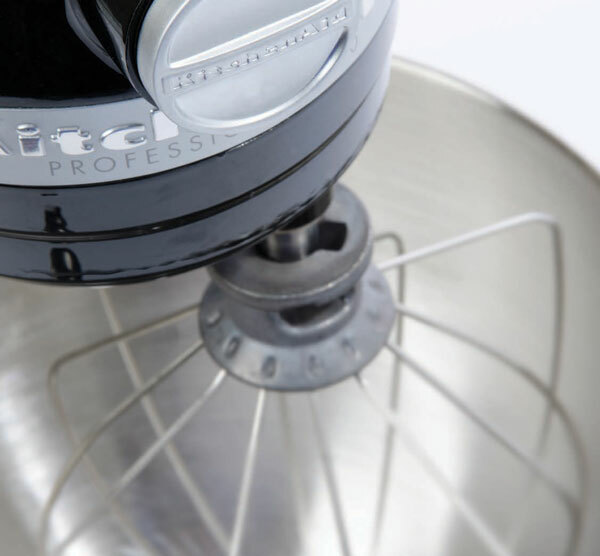 The mixer features 10 speeds and comes with a coated flat beater, dough hook and six-wire whip; the stainless steel mixing bowl holds up to five quarts and can mix enough dough to make nine dozen cookies! For cooks who want their KitchenAid to spiralize vegetables, roll and cut pasta, strain, shred, dice, juice, grind, or mill, the company offers dozens of attachments for additional purchase. Copper cookware: Copper cookware is undeniably beautiful; it is also efficient and utilitarian. Most is made of copper with an internal stainless steel layer. Weightwatching foodies love cooking with copper, as it requires no butter or oil—hence, fewer calories at dinner. Copper pots and pans are oven-safe (but not induction-compatible) and are best used with wood, plastic, or heat-resistant nylon tools to avoid scratching. Keep your cookware away from knives, sharp kitchen tools or hand mixers and avoid using steel wool or harsh detergents for clean-up. Copper develops a beautiful and rich patina over time; if you prefer your cookware shiny and new, a mixture of lemon and salt brightens it right up. Keurig coffee maker: A Keurig is a great asset for households, even for non-coffee-drinkers. Lovely, hot beverages can be prepared in an instant, one cup at a time. As expected, options for coffee are limitless, but with a variety of newer products, the Keurig can whip out black, green and herbal teas, cocoa, chai and other warm and flavorful delights. For a super splurge, go for one of the higherend models, offering 12-ounce brew size, programmable features and latte and cappuccino options.